Helen Grime has been commissioned by such prestigious ensembles and organisations as the BBC Proms, London Symphony Orchestra, Aldeburgh Festival, Hallé, Tanglewood Music Center and Wigmore Hall, and for such notable occasions as the 75th anniversary of the BBC Scottish Symphony Orchestra, the 60th birthday of conductor Oliver Knussen and the 40th anniversary of the Santa Fe Chamber Music Festival. Widely performed by both British and international orchestras, including the Orchestrè de Paris and Royal Concertgebouw Orchestra, her music has been championed by such leading conductors as Pierre Boulez, Sir Mark Elder, Yan Pascal Tortelier, Daniel Harding and Stéphane Denève, and broadcast by the BBC on both Radio 3 and Radio 4. A featured composer in the Philharmonia’s Music of Today series in 2010, she was Associate Composer to the Hallé for four seasons between 2011 and 2015, and a new CD of premiere recordings of her orchestral works, performed by the Hallé, was released as part of NMC’s Debut Disc series in 2014. The disc was included in the Sunday Times Top 100 Albums of 2014 and was shortlisted in the contemporary category of the 2015 Gramophone Awards. In January 2016 she was announced Wigmore Hall Composer in Residence. 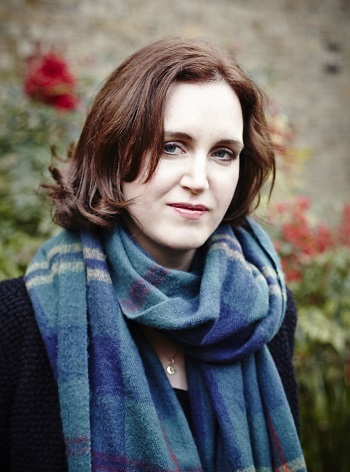 Born in 1981, Helen Grime studied oboe with John Anderson and composition with Julian Anderson and Edwin Roxburgh at the Royal College of Music, graduating from the BMus course with First Class Honours and completing her Masters with Distinction in 2004. She returned to the RCM as a Legal & General Junior Fellow from 2005 to 2007 and in 2008 was awarded a Leonard Bernstein Fellowship to study at the Tanglewood Music Center with John Harbison, Michael Gandolfi, Shulamit Ran and Augusta Read Thomas. She has been Lecturer in Composition at Royal Holloway, University of London since January 2010. Grime’s short opera Doorstepping Susanna was commissioned for the English National Opera Studio and Tête à Tête Opera while she was still a student in 2001 and received over 20 performances nationwide. In 2003 she won a British Composer Award for her Oboe Concerto, which she had premiered herself (as solo oboist) with the Meadows Chamber Orchestra of Edinburgh, and was also awarded the intercollegiate Theodore Holland Composition Prize, as well as all the major composition prizes available at the RCM. In the wake of these successes, BBC Radio 3 commissioned Chasing Butterflies for 100 violas, led at its premiere by the BBC Scottish Symphony Orchestra’s viola section and conducted by Martyn Brabbins. Already something of a calling-card, her short orchestral piece Virga, commissioned by the London Symphony Orchestra in partnership with UBS, was premiered by the London Symphony Orchestra under Yan Pascal Tortelier in 2007, and has subsequently been performed by the BBC Symphony Orchestra under Oliver Knussen at the 2009 BBC Proms, by the Orchestré de Paris under Pierre Boulez in 2010 and by the Hallé under Sir Mark Elder (to launch her Associate Composership of the orchestra) in 2011, as well by the Swedish Radio Symphony Orchestra under Daniel Harding and the Royal Scottish National Orchestra under Stéphane Denève. Other major commissions and premieres include Into the faded air, first performed by the Britten Sinfonia on a UK tour in 2008; A Cold Spring, premiered by BCMG under Oliver Knussen at the 2009 Aldeburgh Festival; a Clarinet Concerto for the Tanglewood Music Center’s 2009 Festival of Contemporary Music; Everyone Sang, an orchestral work written for the BBC Scottish Symphony Orchestra’s 75th anniversary in 2010; and To see the summer sky, for violin and viola, first heard alongside the UK premiere of her Clarinet Concerto at a Philharmonia Music of Today concert in 2010, the year in which she was awarded the Lili Boulanger Memorial Fund. Her critically acclaimed Oboe Quartet, commissioned by Winsor Music Inc. and premiered in Boston in 2012, was given its UK premiere by Nicholas Daniel and members of the Britten Sinfonia at the Wigmore Hall the following year. 2015 saw performances at the BBC Proms and Aldeburgh Festival, as well as the premiere of her Double Concerto by the Hallé Orchestra and her string trio Aviary Sketches (after Joseph Cornell) at the Wigmore Hall, London, and Alice Tully Hall, New York. In 2016 the New World Symphony presented the US premiere of A Cold Spring in Miami, and the BBC Scottish Symphony Orchestra and National Youth Orchestra of Scotland gave the first performance of Two Eardley Pictures at the BBC Proms. Grime was Composer in Residence at the 2016 Heimbach Festival in Germany, which saw the performance of a number of her chamber works, including the premiere of Five North Eastern Scenes for oboe and piano. In addition to the critically acclaimed NMC disc of her orchestral works, Grime’s discography already includes recordings of her 2003 Romance for violin and piano (performed by Alexandra Wood and Huw Watkins on Usk Records) and 2008 Nobody Comes for voice and piano (performed by Jean Rigby and Huw Watkins on the NMC Songbook CD). Grime is Composer in Residence at the Wigmore Hall for the 16/17 and 17/18 seasons. Highlights of this period include the premieres of a Piano Concerto for Huw Watkins and Birmingham Contemporary Music Group conducted by Oliver Knussen and a song cycle, Bright Travellers, for soprano Ruby Hughes and Joseph Middleton.In 2017 she was commissioned by the Barbican to write a two-part work for Sir Simon Rattle’s inaugural season as Music Director of the London Symphony Orchestra, with the first instalment, Fanfares, opening its 17/18 season and the complete work, Woven Space, receiving its premiere in 19 April 2018. She is currently working on a concerto for percussionist Colin Currie. The music of Helen Grime is published exclusively by Chester Music Ltd.